Integrating enterprise systems is a key challenge and a mandatory requirement in any enterprise. Enabling frictionless sharing and flow of data among applications, systems, people, and platforms is a key requirement in most enterprise digital initiatives. 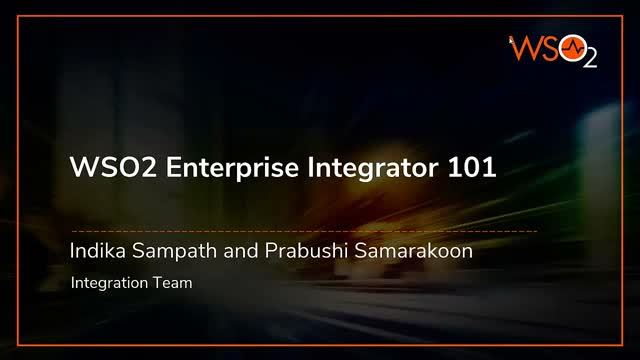 Among many enterprise integration products out there, WSO2 Enterprise Integrator is unique as it provides all the capabilities required for integration in a single package. WSO2 Enterprise Integrator brings together functionality previously encapsulated in the WSO2 Enterprise Service Bus (WSO2 ESB), WSO2 Message Broker, WSO2 Data Services Server, and WSO2 Business Process Server.